What is the Scottish Kilt breed? Scottish Kilts are a cross between a Munchkin and a Scottish Fold. They are currently in experimental status within some cat organizations. They are not a recognized breed yet, and one reason they are so hard to find! Also breeding for a Standard Kilt baby that has both folded ears and short legs can be rare per litter, so you usually need to be on a waiting list to get one. What is the difference between your WAIT list and CONTACT list? Our WAIT LIST requires a nonrefundable $250 deposit and your name is added to the list. You will have first choice as kittens become available. You must choose a kitten trait: short, fold, both short and fold, neither short or fold. Deposit is transferable between litters. Our CONTACT LIST is no cost, and your name will be added to a list. You may or may not be contacted, depending on interest in kittens available. We will post publicly any available kittens that are not spoken for. We will only offer to wait listers before opening availability to the public and contact listers. What is the difference between a STANDARD kitten and a NONSTANDARD? What kind of personality do Scottish Kilts have? Scottish Kilts combine the adorable, funny personality of the Munchkin, and the lovable one of the Scottish Fold. They are truly a perfect combination. They also get along great with children and other pets. See details on payments & financing page for full payment and financing options..
See our payments & financing page for details. How much are your kittens? Each kitten is priced according to traits. Prices usually range from $750 up to $3500. Please see the Buying A Kitten for more info. Do you offer discounts on kittens? Two kittens are always better than one. They play together and keep each other company in your absence. We highly recommend getting two siblings together if available, or getting in line for one in an upcoming litter. Do you guarantee the health of your kittens? Absolutely! 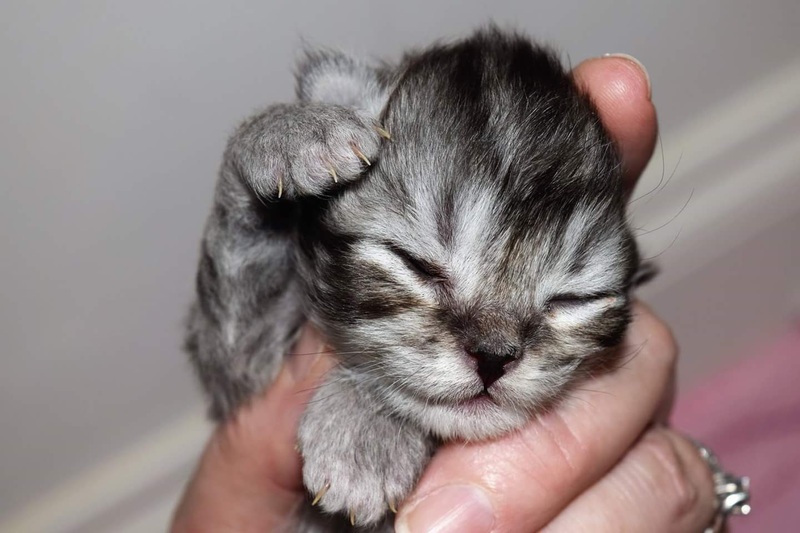 All kittens come with a 2 year genetic health guarantee and you will have 72 hours after pick up to have your kitten vet checked for any general health guarantees. Kitten will come with a certificate of health signed by a veterinarian. ABSOLUTELY NOT. IF YOU ARE CONSIDERING, LOOK ELSEWHERE. If you do not fully understand the meaning of declawing, please check the information on the health page. Do you spay and neuter? Yes. If for whatever reason your kitten does not come fixed, it will be your responsibility to fix at 5-6 months. Why can’t I get my kitten before 12 weeks? It is very important for the kitten to nurse from mama cat for as long as it can, to get the nutrition it needs to support a healthy immune system. Your kitty is also learning by example to groom and use a litter box and scratching post, as well as socialization skills from playing with their siblings. At 9 weeks, we have a licensed vet do a full exam to ensure kitten is as healthy as can be. We also give the first set of vaccines at 9 weeks and multiple dewormings, so at 12 weeks and your first vet appointment, you only need to get kitten their second set of vaccines. This time frame allows us to give our full guarantee that your kitten arrives healthy and happy! Do you sell to breeders? No, we do not at this time. Does this breed have any genetic health issues? We DNA test all of our breeder cats to test for breed related health issues. They are all tested and cleared from a genetic laboratory. DNA results are available to our customers online on the our breeders page. We are a PKD/FIV/FELV free cattery. What if you don’t have the kitten I want in the next litter? Do I lose my deposit? No, your deposit goes to the next litter and you keep your place on the list. However, if you are offered the TYPE of kitten that you are waiting for, but must pass, you will be bumped down one spot after the second pass and each time thereafter. Do I need the Rabies vaccine for my kitten, even if they do not go outside? Rabies is usually required in the United States. Check here for your state requirements and frequency of vaccine. I want to travel there. Are there any pet friendly hotels near you? What kind of food do you feed? We feed our adults Nutro and Royal Canin, both premium foods. We give wet food as well as dry, and encourage you to do the same. 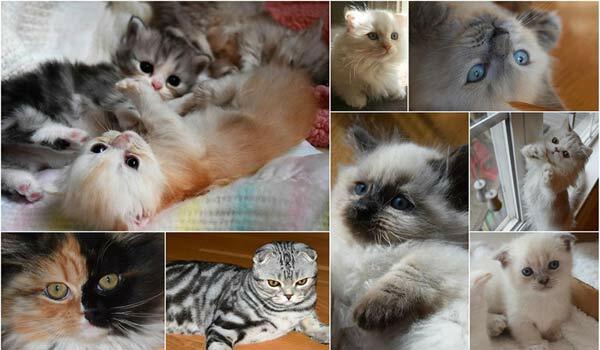 Kittens are fed Royal Canin MotherBaby Cat and Royal Canin Kitten until 12 weeks old. After that, they need to stay on the same food or a quality food formulated for kittens, up to a year. Are there special dietary needs for this breed? Long hair kitties may need a hairball formula food, or you can give a gel applied to the foot occasionally. Wet food helps keep kitty hydrated and is beneficial to your kitty's diet. Can I bathe kitty and are there special grooming needs? You will need to brush long hair kittens frequently. Bathing should be done on long haired Kilts as needed. Trim the nails if you know how and wear gloves. Run the water before you take to the sink. You can also take to a groomer. Persians can have eye tears that may need to be wiped daily with water and a paper towel, or an eye cleaner. How big will my kitten be full grown? Most of our kittens range in the small 6-7 pounds once adults. Some kittens bred with our stud Jackson may be larger. Do you deliver, ship or can I pick up kitten? Do you deliver outside of the USA? At this time, we will consider each request on an individual basis. Kitten will be required to fly in cabin only.